We love kids and we love taking care of them ... because we're moms, too! Our passion is to provide your child the kind of dental care we would want for our own kids, to keep their teeth strong and healthy and prevent oral disease. 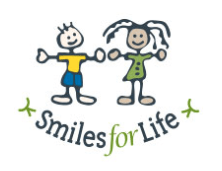 Every child deserves a healthy, beautiful smile, so we provide comprehensive dental care for children of all ages and offer preventive treatments such as fluoride treatments and sealants. And because we want your child to enjoy their visit, we create an environment that is calm and relaxing, but also fun! We stay abreast of the latest advances in children’s dentistry and we specialize in teaching kids good oral hygiene habits that will stay with them for a lifetime! Call us at (217) 223-9137 to provide your child with excellent dental health! When should I start bringing my child to a dentist? When your child’s first tooth comes in, usually around the age of one year, you should make an appointment at Connoyer Dental. Baby teeth come in quickly after the first -- there are 20 in all -- and we can monitor their progress, ensuring that no problems crop up. After your first visit, we recommend coming in every six months for regular checkups and cleanings. What dental care does my child need? As a pediatric dentist in Quincy, Illinois, we provide outstanding care for primary teeth, to ensure the future success of your child’s permanent teeth. If you have a medical emergency, call 911. If you are an existing patient, call our office and you will be directed to our emergency number. © 2019 Maria Connoyer DMD. All Rights Reserved.